Wonderful and captivating giveaway which interests me greatly and is a treasure. 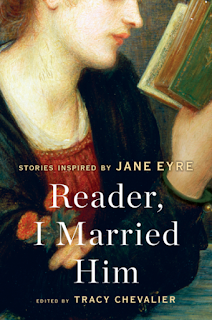 I read Jane Eyre and this classic is my ultimate favorite. Thanks for this great feature and giveaway. Jane Eyre has always been one of my favorite classics. Responses from all these amazing authors to a book I love is very intriguing. Plus I love Chevalier's writing, so to have her as the editor is another bonus in my opinion. This book sounds nice. I just finished Jane Steele and loved it. I think I would enjoy this collection as well.